Despite Armenia’s concern, EU is not in a hurry to ratify the Comprehensive and Expanded Partnership Agreement. 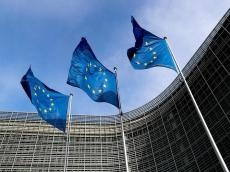 The Agreement on Comprehensive and Expanded Partnership between Armenia and the EU, a year after signing, was ratified by only 9 of the 28 EU member states - Estonia, Latvia, Lithuania, Poland, Bulgaria, Luxembourg, UK, Romania and Denmark. Some Armenian experts are scared that at this pace the Armenia-EU agreement will not be ratified in 2019. Ex-Chairman of the National Assembly Standing Committee on Foreign Relations Armen Ashotyan considers that work on the agreement ratification is completely in disrepair. The elections to the European Parliament will begin in May 2019. Even, it is possible that some countries will ratify the agreement during this period, but it seems unrealistic that outgoing European Parliament will have time to make all other statements. Prime Minister of Armenia, Nikol Pashinyan did not particularly shine with his political program, so there is no hope that he will demonstrate it in the future. Obviously, EU has no time for Armenia. After the May elections, EU will be busy forming a new government and various problems arising from this. Then, the summer holidays will come. So, an active period will begin only in September, therefore, work will take place from September to December. The problem is that Armenia currently does not use the opportunity offered by part of the agreement that has already entered into force. The ratification process has both objective and subjective reasons, its omissions. Serious political changes have taken place in Armenia and the EU member states naturally want to study these processes, understand what is happening, what it means for Armenia-EU relations. Therefore, it is not surprising that the EU extends the ratification process. Armenian authorities are powerless to speed up this process. Europe does not yet understand whether it is possible to trust Pashinyan, is he the next babbler or a dictator, shaking the language of democratic values and at the same time imprisoning the oppositionists, and closing his eyes on offences. So far, Pashinyan’s actions have not convinced them otherwise, and the “babbler” title sticks to his last name more and more. It will be difficult to get rid of such a reputation, so if Pashinyan is counting on at least some presents from the European side, he should hurry.